Owning an adequate life insurance policy is one of the most important things that you can do for your family. The protection that life insurance offers is unmatched by anything else out there. You can rest assured knowing that they will be provided for in the event of your demise. However, sometimes life insurance is surrounded by traps that you can fall into if you are not careful. Here are a few ways to spot a life insurance trap and how to avoid them. Although the majority of the life insurance companies out there are good, upstanding companies, every now and then you run into a company that is questionable. Getting caught up in a life insurance scam is one of the last things you would want to do. Paying your premium to someone for years only to find out that they do not pay their benefits could be a devastating experience for you and your family. If you think that your potential insurance company might be a scam, there are a number of ways that you can check them out. The first thing you'll want to do is call the company and talk to them. The customer service number that they list should take you to an actual customer service center. A legitimate company will take you to a real person that you can talk to about any issues you might have. If you get an answering machine and no one ever calls you back, you should probably stay away. Another great resource to use is the Better Business Bureaus. They are great at determining which companies are legit and which ones are scams. You can look up almost any company in the United States with this resource and get a detailed report on them and their customer service practices. If you see a lot of complaints or unresolved issues, you should look elsewhere. There are a number of companies out there that make it their business to review insurance providers. These companies exist as independent insurance review companies. They will put up a detailed website that makes it easy for you to compare the difference between several insurance providers. When you use an independent review site, you are getting an unbiased opinion on your potential insurance company. They are receiving no compensation for their endorsement and they will tell you the truth about them. You can also see the reviews by actual customers of the company. They have experienced the companies first-hand and can tell you exactly what to expect. When you rely on someone that has no experience with the company or is a paid endorser, you cannot truly believe what they are telling you. With independent review sites, they will alert you of any potential scams or questionable business practices on the part of your life insurance provider. 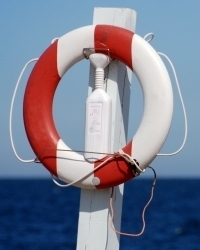 This way you can avoid any potential life insurance traps on the front end.